U.S. Senators Gary Peters (D-MI) and Jerry Moran (R-KS) today announced they are introducing the Higher Education UAS Modernization Act, legislation that would support the operation of unmanned aircraft systems (UAS), commonly referred to as drones, by higher education institutions for research and educational purposes and workforce development. 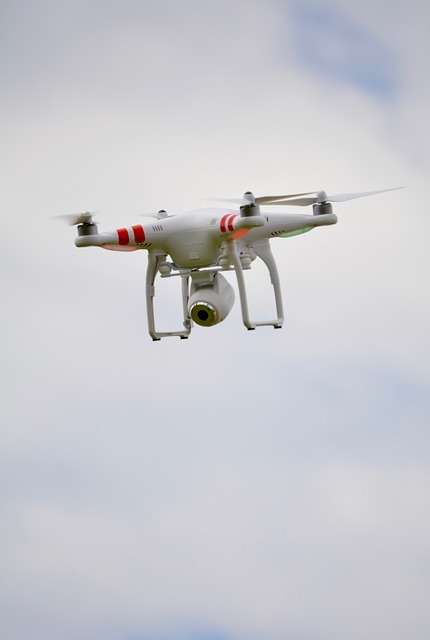 Under current Federal Aviation Administration (FAA) regulations, colleges and universities are treated the same as commercial drone users, meaning students and professors must apply for approval from the FAA, obtain a pilot’s license and are restricted to using only pre-approved aircraft. A number of schools (Smith College and Penn State to name two) and organizations (Association of American Universities and Association of Public and Land-grant Universities) support the Act. As I understand it, the act evolved from efforts begun by Smith College's Paul Voss, an associate professor of engineering in 2014. Here's a video of Voss discussing the issues in 2015 on the local PBS station. The National Geospatial Technology Center of Excellence (NGTC), in partnership with Southwestern College and San Diego State University, will host the 8th annual NGTC Geospatial Technology Summer Workshop. The workshop will be held in the Richard Wright Spatial Analysis Lab on the campus of SDSU from June 22 -24, 2016. It's right before, and attendees get free admission to, the Esri Education GIS Conference. There are stipends, too. The PSM in GIS is an accredited program, designed to train a highly competent workforce, ready to meet the demands of the job market. Our curriculum integrates rigorous technical training with business, ethics, and professional development. In, other news from the school, a handful of classes at Temple University invite undergraduate and graduate students using their bodies as tools of spatial exploration. “Bodies in Geography” and “Bodies Studio” I and II are taught by Allison Hayes-Conroy, an assistant professor of geography and urban studies. The vision: to help students find new ways to think about the human body—more specifically, how the body is viewed through social and biological sciences. A team from Illinois State designed a curriculum and produced maps using QGIS as part of a three year $450,000 study funded by the National Science Foundation. Fourth and fifth graders in Springfield Illinois are the main testers. The goal of the program is to see if using GIS, which helps college and high schools improve spatial thinking, will do the same with elementary school students. Preliminary findings have been encouraging. The curriculum and research materials are available. "Lessons that incorporate publicly available data from Earth observing sensors can expose students to the thrill of scientific discovery." That's the subhead of an article by a team reporting on the Environmental Data-Driven Inquiry and Exploration Project (Project EDDIE). The idea is to expose college students to the excitement and challenge of working with real world data. A curriculum was developed and its success is being assessed. The work looks promising. A pilot study reported by Carey et al. indicates that working on modules improved students’ quantitative literacy and enabled them to grapple with difficult concepts such as data visualization and how resolution affects our ability to detect environmental changes. I graduated last Spring and have essentially only used ArcGIS software in college and my last job, and have minimal experience with QGIS and Whitebox GAT. This from a newly hired GIS professional posting on on Reddit/GIS. The poster next needs to learn Smallworld. I am concerned by the poster's lack of confidence in learning something new. The more packages a student touches in school and the workplace, the more confident he or she will be picking up the next release or a new package. How many different software packages do your GIS students touch? What really happened is that we confused users with buried purchased points, made it impossible for some institutions to even buy it, and undervalued the worth of our product. NCGE is requesting those interested in funding for geography at the K-12 level from the U.S. government contact their senators. This is the next step in funding grants detailed in ESSA. Total effort to build this was about 20 hours, mainly because of the number of pages. 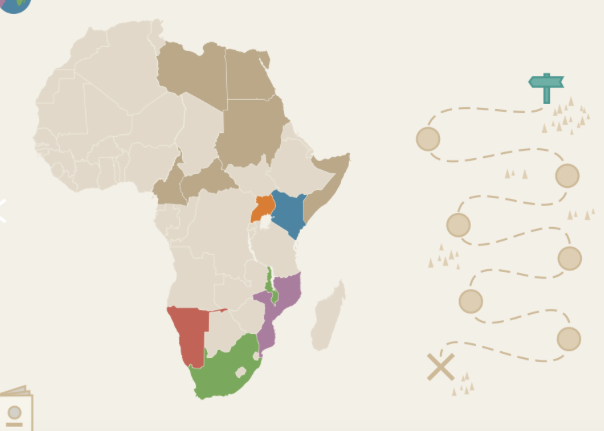 We feel that 8-10 hours would be average time to build a decent Story Map Journal using the template and tools available on ArcGIS Online. An interactive map, put together by the Georgia Tech Research Institute and the University of Georgia's eHistory initiative, taps the Library of Congress' database of historical newspapers, Chronicling America, to track frequency of keywords in newspapers and visualize the results across time and space. It's built on CartoDB. More at Slate. McGraw-Hill Education has withdrawn a textbook and plans to destroy all copies of it due to criticism that four maps in the book are inaccurate. The political science textbook, Global Politics: Engaging a Complex World is no longer available. 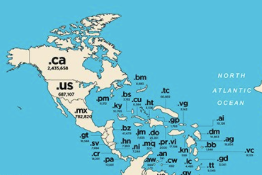 I love this cartogram of top level country domains. GISCI is now considering offering the GISCI Geospatial Core Technical Knowledge Exam at the Esri UC conference in San Diego, CA, scheduled for the last week in June. The organization requests a show of interest via e-mail in this press release. @GISed has been featuring new GeoInquiries all week. You never ever disappoint in terms of new and interesting information!